Boho Style is not only about setting yourself as a free spirited person, it also comes with unique elegance. 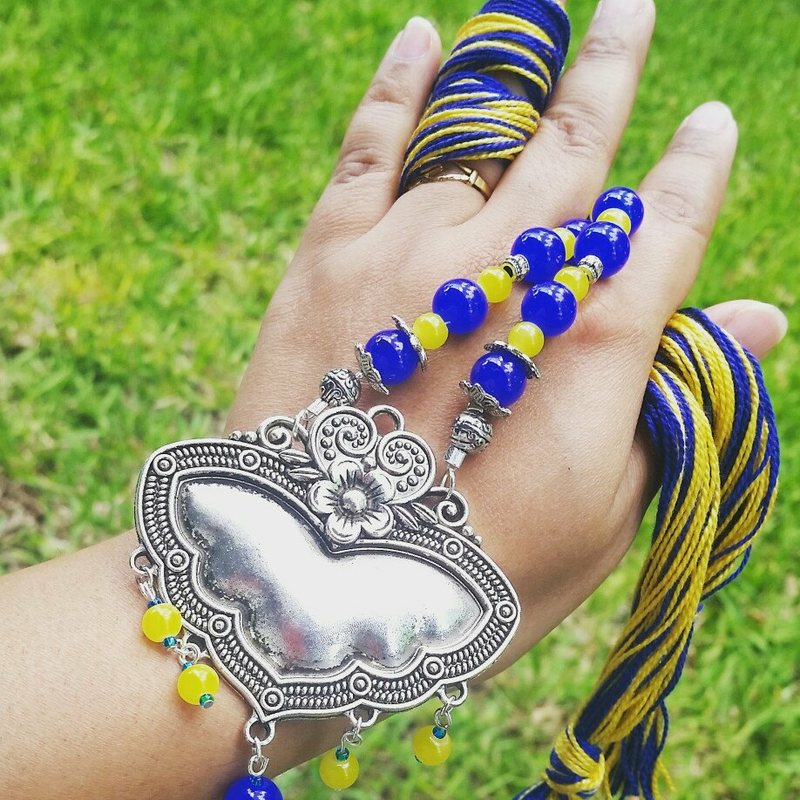 This bright yellow and indigo blue beads put the charms of sun and sea together. Chunky butterfly shaped floral curved pendant is the main statement piece. Yellow and blue mixed strand thread ties back necklace comes with matching earring set. Available now. Interested to see the whole set? Let’s Go Shopping . Next Post What style are you?